What will my kids do at FCC? Are you looking for a church that strives to instill the Word of God into the children that walk through the doors? A place where your kids can have fun while they are memorizing Bible truths? Faith Community’s Children Team is made up of some excellent volunteer teachers that work hard to do all of this and more. Kids from Pre-K through the 5th grade can look forward to fun activities and games that help them grow in Christ! 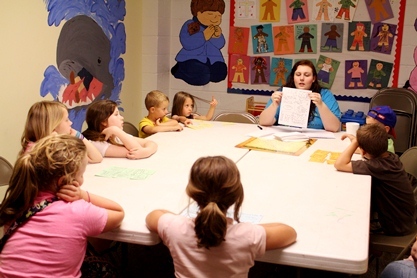 We offer Sunday School Classes, Children’s Church, and Midweek sessions for your children to be a part of. We are so excited to begin our new “LIVE Children’s Curriculum” this fall for our Wednesday night children programming! LIVE curriculum helps get kids to actually read their Bibles, strengthen their Bible skills, and learn key Bible truths! Parents will also receive a weekly devotion via email or paper copy to do with their kids during the week. LIVE is also full of fun music and videos that kids love. We will begin on September 3rd, from 6:45pm-8:00pm. Parents, if you would like to receive weekly devotions via email, please contact Hannah Garrett at hannahjoygarrett@gmail.com. you may also request paper copies from hannah as well.